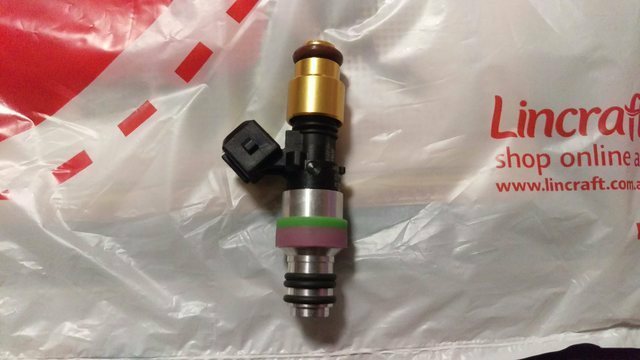 For sale is my current set of ASNU 2000/90/1300cc injectors. These are the ones with the extra spray plate on the bottom. So require a 14mm hole in the intake manifold and fuel rail to fit. Can supply Motec, haltech and LINK G4 dead time figures. I have flow test data for these from my test rig. Only reason for selling is looking at a bigger set of ID injectors this time round. Made 240KW at WHEELS at 42% Injector duty cycle. Freight and paypal fees extra.